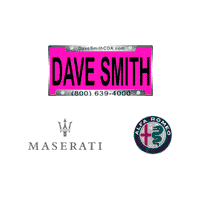 Thank You for choosing Dave Smith CDA as your dealership. Please let us know if we can offer any assistance to you while you are making arrangements to pick up your vehicle at our dealership in Coeur d’Alene, ID. We have compiled a list of hotels and other lodging options if you will need to stay overnight when you come to pick up your vehicle. Don’t forget we offer a complimentary shuttle service from the Spokane International Airport. We also offer shuttle services in and around Coeur d’Alene for our customers while they are in town. For any questions or concerns regarding your travel arrangements give us a call at 208-667-6053. CLICK HERE for directions to our dealership. The Holiday Inn Express & Suites is conveneintly located right off I-90. Close by Dave Smith CDA and many Coeur d'Alene attractions. The hotel offers free high-speed, wireless internet, fresh baked cookies every night at 7pm, a 24-hour fitness center, indoor pool and whirlpool. Complimentary hot breakfast bar featuring cinnamon rolls and fresh fruit is served every morning.